Whether your home needs a total renovation or remodelling to make better use of the space, ProjectLink is here to help you. We have compiled a list of 10 of the best home building blogs to help you enhance the beauty and safety of your home. 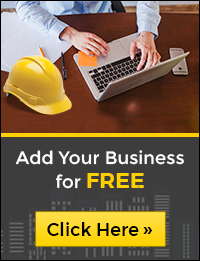 These construction blogs will not only give home builders, project managers, architects, and contractors the knowledge they need to be plugged into the right resources but will also provide information on the latest trends and developments shaping the Australia’s construction industry. This handy list of construction blogs would help you get the desired look of your home, and that too without putting too much of stress on your budgets. If you want to beautify and spice up the look of your home, you should think about adding these trending stones in your home decor. Keeping home renovations on budget can be tough. But, these tips will help you have an affordable and hassle-free remodel that you can be really proud of. Want to give your home a makeover but don’t know where to start? Take a look at some impressive remodelling design trends at ProjectLink to get ideas. Designing a smart landscape requires solid planning. If you also long for a breathtaking outdoor space this spring, we have something just for you.